Alderfer Auction works for many sellers in a broad demographic and geographic location providing a large variety and selection of furniture to the market. Whether your interest is mid-century modern, period antiques, stylized furniture and quality reproductions, we have a wide variety of offerings to help you decorate your business, home, garden college apartment or vacation home. 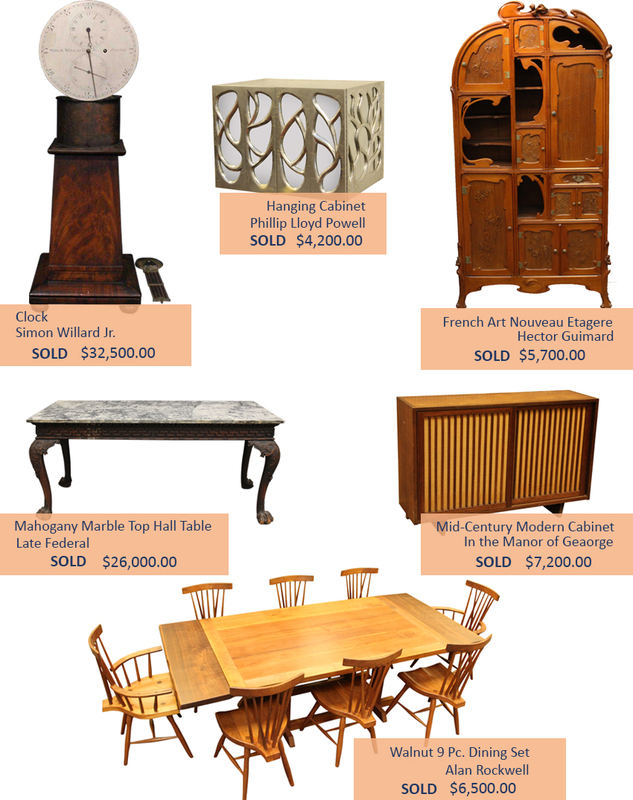 If you would like to consult with an Alderfer specialist about selling a single item or a collection, or be added to our Enewsletter, email us at info@AlderferAuction.com or call 215.393.3000. Alderfer Auction has a team of experienced professionals in the areas of Auction, Appraisal, Downsizing and Real Estate Services. We work with individuals, financial advisors, accountants, attorneys, banks, executors and insurance companies to help develop a plan for personal and real estate property.